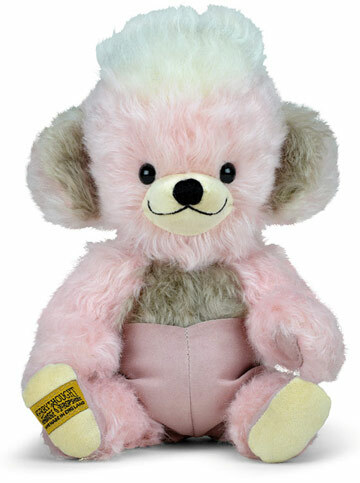 The story of Merrythought began in 1930, when Gordon Holmes, owner of a mohair spinning mill in Yorkshire, recognized an opportunity to make beautiful soft toys from this special Angora fleece. 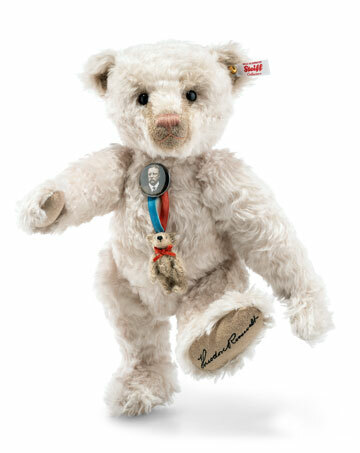 His wish was to create the very nest teddy bears that would be cherished by children and adults for years to come. Gordon discovered a beautiful brick foundry building in the heart of Shropshire, and with the help of a small team of skilled local seamstresses, Merrythought was born. 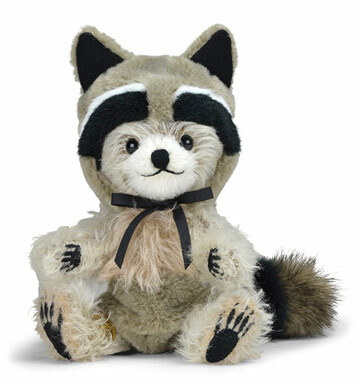 The original workshop remains our home to this day; an enchanting place where each soft toy is expertly brought to life using luxury materials and traditional craftsmanship that has been handed down the four generations of our family business. 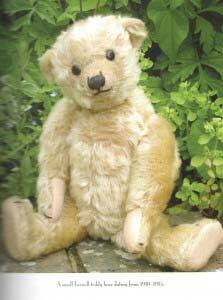 Today Merrythought is the last remaining British Teddy bear manufacturer! 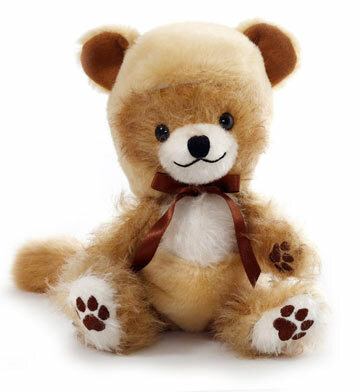 Merrythought's talented team of Teddy bear makers use traditional methods and premium materials to craft the finest Teddy bears and animal friends in the world. 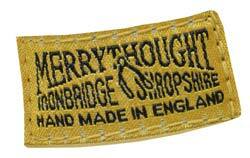 Each and every Merrythought creation is made from start to finish in the famous Ironbridge factory in Shropshire, England, a tradition of almost nine decades! 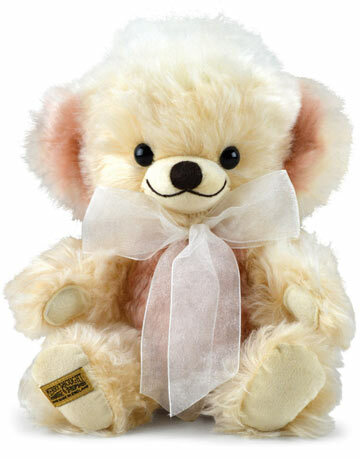 Merrythought sources only premium materials to lovingly create their Teddy bears. 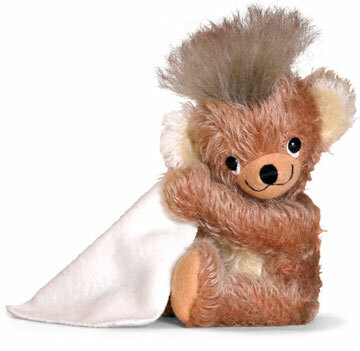 The best quality mohair plush is selected and neatly cut to each soft toy's unique set of patterns, many of which are based on original templates from the earliest years. 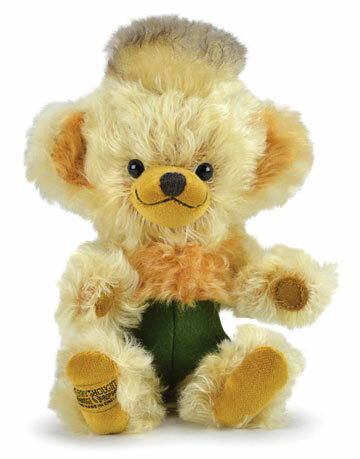 Incorporating other natural fabrics, such as wool felt and cotton, the pieces are expertly worked with traditional needle and thread to form each part of the bear. 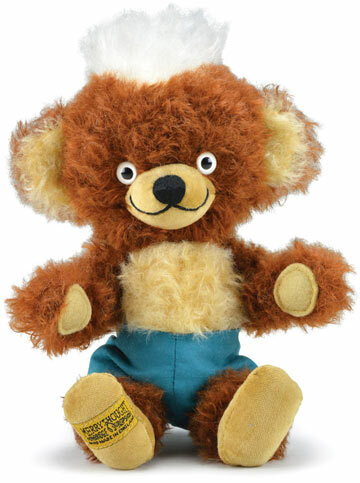 The eyes, legs, arms and joints are skilfully sewn and assembled by hand, gradually creating the recognisable characteristics of the Merrythought bear. 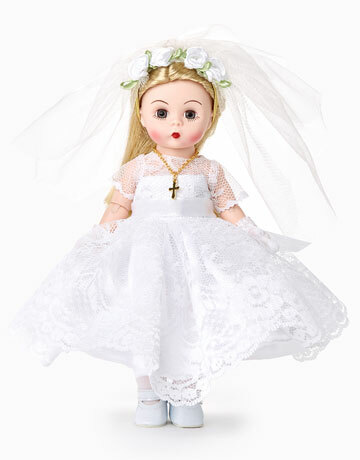 Taking time to fill the toy to an optimum weight, it is then ready for the finishing touches; a carefully hand-embroidered nose and smile, a thorough brush and trim, and a neatly tied ribbon bow. 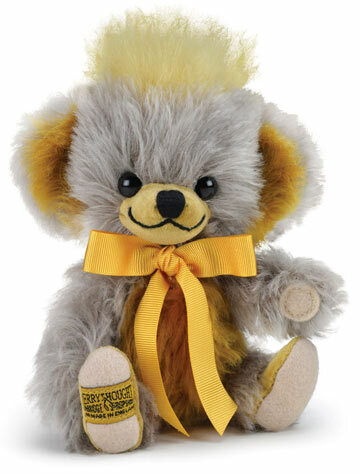 As a signature of quality, Merrythought's exceptional soft toys are finished with a prestigious stamp of approval - the famous Merrythought gold-and-black label stitched to the right paw. 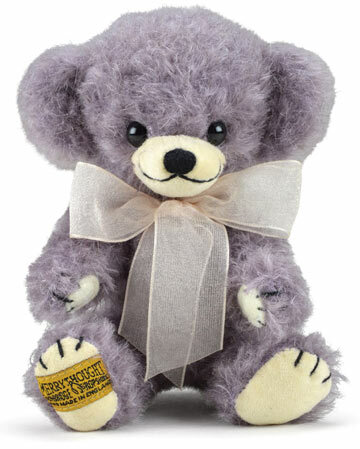 The Teddy bear is then ready to start its journey as a lifelong friend, continuing the magical Merrythought story for another generation. 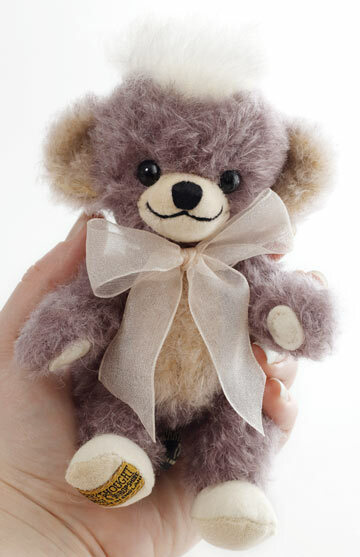 All Merrythought bears are made from start to finish in the famous Ironbridge factory from a variety of bespoke mohair and other fabrics including alpaca, other wools, silks and cottons. 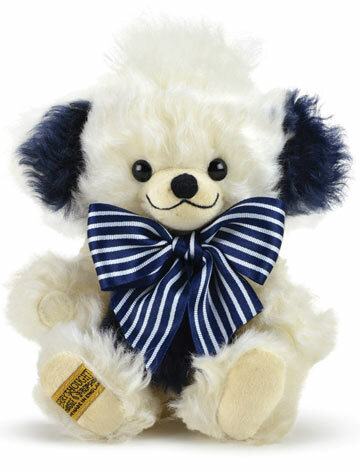 The origin of the name Merrythought derives from an archaic name for a wishbone, a symbol of 'good luck'. 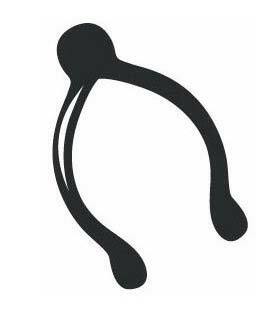 The wishbone has been the company's emblem since 1930. 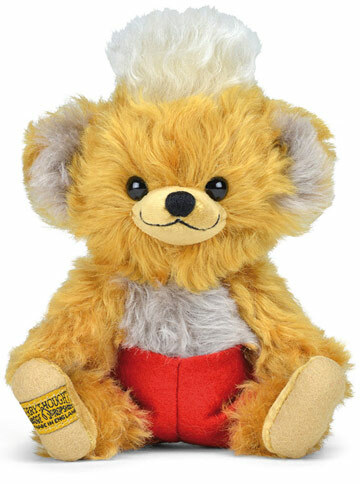 With the assistance of Clifton Rendle of Chad Valley and Henry Janisch of J. K. Farnell (two leading British soft toy manufacturers) Gordon Holmes diversifies his textile businesses by founding Merrythought Toys. Production begins at a factory owned by The Coalbrookdale Company in Ironbridge, Shropshire - the home of the Industrial Revolution (now a World Heritage Site). 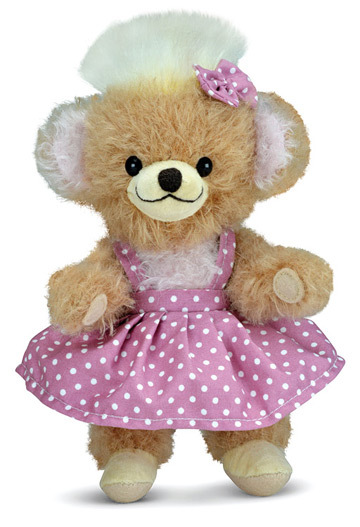 Expressed in the companyâ€™s first catalogues is Merrythoughtâ€™s promise of â€˜Quality, Courtesy, Service and Economyâ€™. 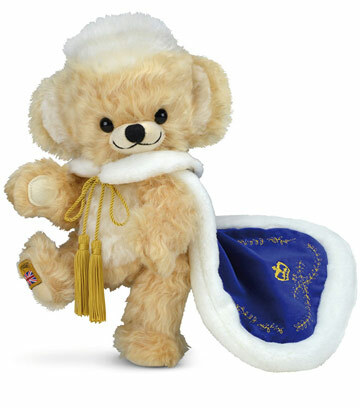 The high end retailers, such as, Harrods, Hamleys and Selfridges, stocking Merrythought products were testament to the companyâ€™s instantaneous success in breaking into an increasingly competitive soft toy market. 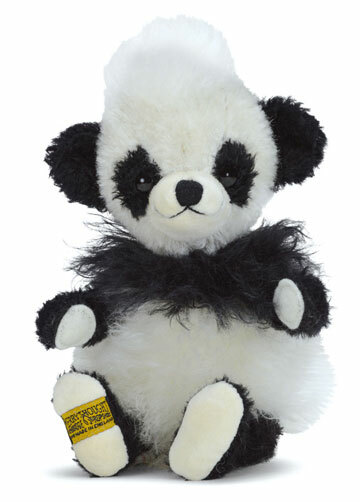 The first pandas are created just a year or two after the western world was told about these unusual Chinese animals - they soon became a hugely popular design. 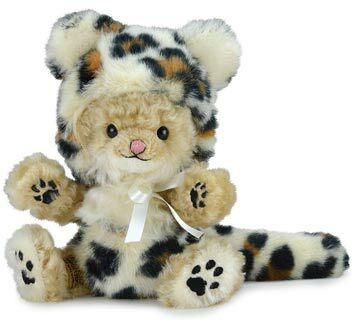 Over the years Merrythought has created nearly 100 different shapes and sizes of panda - they are still as popular today as they were when they were introduced. In 1907, William Gordon Holmes (Merrythought's present Directors great-grandfather) goes into partnership with George Laxton to open Holmes, Laxton & Co., a mohair spinning mill in Yorkshire where imported raw materials are spun into high quality mohair yarn. 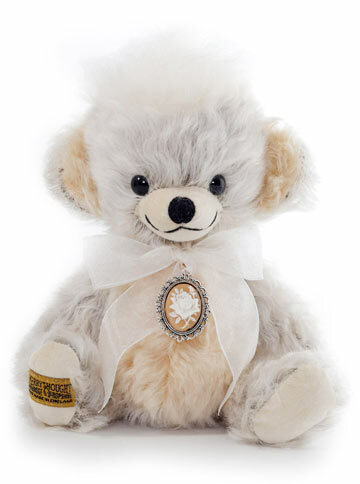 In 1908, family firm JK Farnell & Co Ltd produced the first British Teddy bear - a fully jointed, mohair bear with hand-stitched nose and claws (shown in picture.